In a world first, the Swiss town of Zug in central Switzerland will begin accepting the cryptocurrency Bitcoin as payment for government services on a trial basis. The Zug municipality made the decision at its meeting on May 3 and the pilot project will start from July 1 and continue until the end of 2016. Bitcoin payments up to a value of CHF200 ($205.8 or 0.44 XBT) will be accepted for standard government services. The authorities claim they want to lead by example in a region that has recently become a hub for the financial technology (Fintech) sector in the country. The self-appointed “crypto valley” of Switzerland hosts around 15 companies specialising in blockchain technology that underpins Bitcoin. The town’s mayor Dolfi Müller announced that Zug is open to exchanging ideas with such companies. At the end of 2016, an analysis of the trial scheme will be made and the town will then decide if it wants to continue with accepting digital currency payments in the future. “This is the first time worldwide that Bitcoins have been accepted as a currency on a state level,” Niklas Nikolajsen, the chief executive and co-founder of Bitcoin Suisse, a start-up that sells and buys the cryptocurrency, told the Neue Zürcher Zeitung newspaper. It has its headquarters in Baar, not far from Zug. The programme is designed to be decentralised, allowing transactions to take place between users without the need for third parties such as banks, or a central clearing system like SWIFT. In essence, each user acts as their own independent bank – free from the administration, and associated costs, found in a traditional financial centre. Zug first to accept bitcoin for government services May 10, 2016 - 08:27 In a world first, the Swiss town of Zug in central Switzerland will begin accepting the cryptocurrency Bitcoin as payment for government services on a trial basis. The Zug municipality made the decision at its meeting on May 3 and the pilot project will start from July 1 and continue until the end of 2016. Bitcoin payments up to a value of CHF200 ($205.8 or 0.44 XBT) will be accepted for standard government services. The authorities claim they want to lead by example in a region that has recently become a hub for the financial technology (Fintech) sector in the country. The self-appointed “crypto valley” of Switzerland hosts around 15 companies specialising in blockchain technology that underpins Bitcoin. The town’s mayor Dolfi Müller announced that Zug is open to exchanging ideas with such companies. At the end of 2016, an analysis of the trial scheme will be made and the town will then decide if it wants to continue with accepting digital currency payments in the future. “This is the first time worldwide that Bitcoins have been accepted as a currency on a state level,” Niklas Nikolajsen, the chief executive and co-founder of Bitcoin Suisse, a start-up that sells and buys the cryptocurrency, told the Neue Zürcher Zeitung newspaper. It has its headquarters in Baar, not far from Zug. 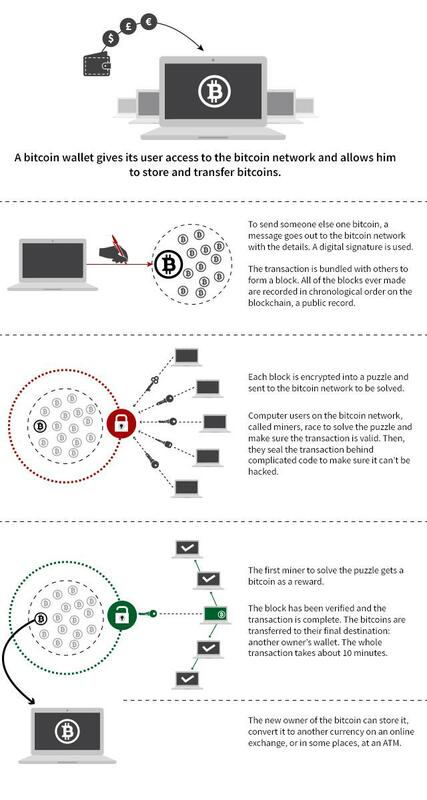 Bitcoin & blockchain Created in 2008, blockchain is an encrypted programme that acts as an online ledger of transactions. Each block of transactions is linked in a chain, giving participants an overall picture of what is taking place in the system. The programme is designed to be decentralised, allowing transactions to take place between users without the need for third parties such as banks, or a central clearing system like SWIFT. In essence, each user acts as their own independent bank – free from the administration, and associated costs, found in a traditional financial centre. Reports of bitcoin’s demise have been greatly exaggerated at Davos, according to the Swiss bitcoin sector.